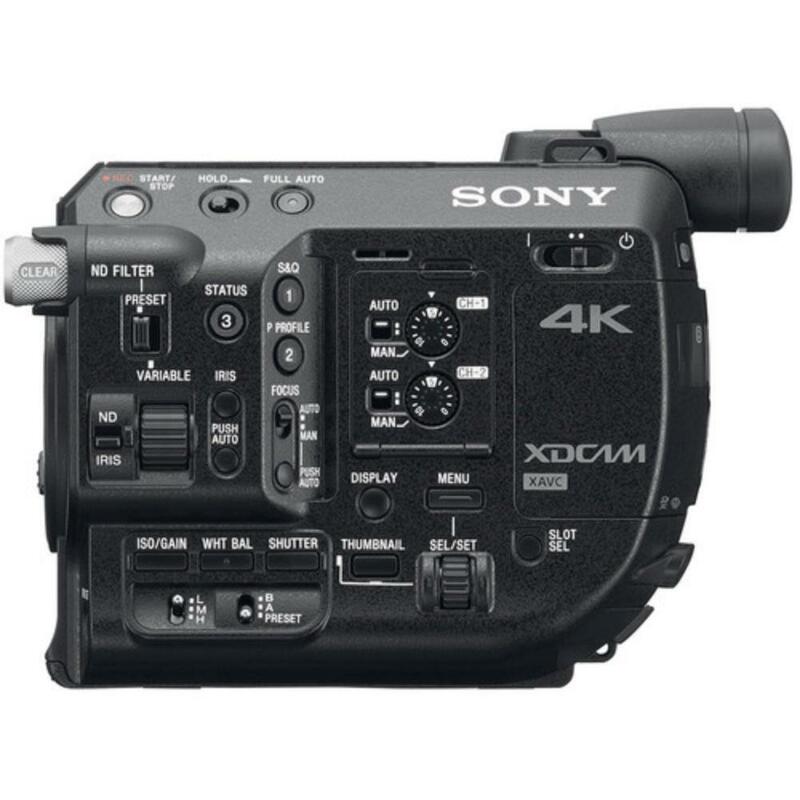 This version of the FS5 does not have the RAW upgrade. For that, please see the Sony PXW-FS5 XDCAM Super 35 Camera System with RAW Upgrade. 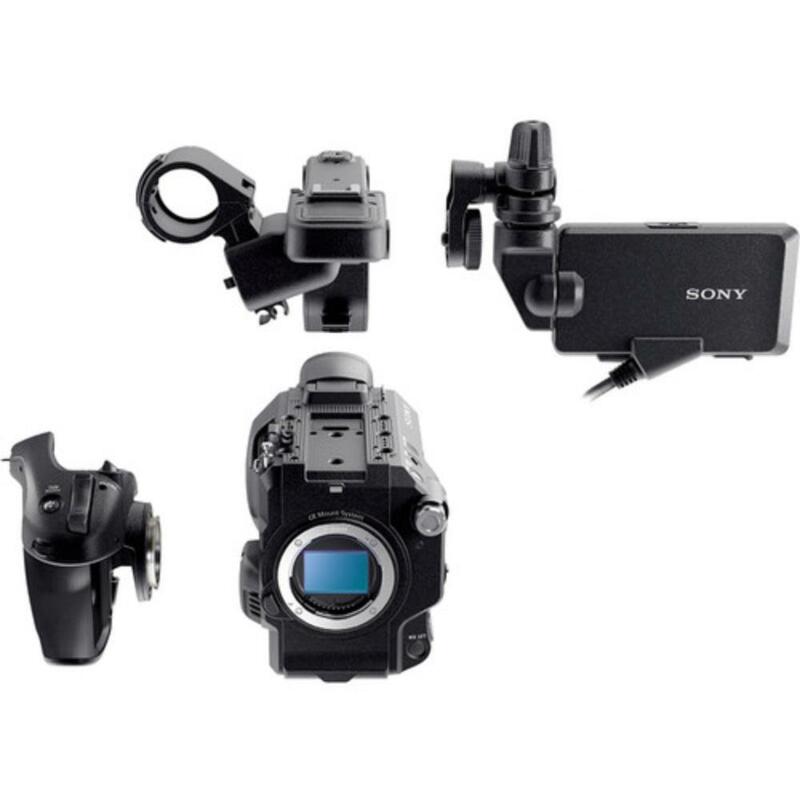 The Sony FS5 sports a similar 12 million pixel sensor as the Sony FS7 but boasts a lighter form factor and greater ISO sensitivity. It features an electronic variable neutral density filter for precise exposure consistency and demonstrates improved AF with E Mount lenses. The FS5 essentially reimagines the FS7 with on-the-go, portable shooting in mind, along with a super fast boot-up of under 5 seconds. It is designed as a modular system that is easily taken apart without additional tools. It supports a rotating grip and the LCD can be attached to up to 9 different positions. An advanced cooling system makes the entire system durable and efficient. Live stream from any event thanks to a choice of Wi-Fi or built-in wired LAN. The FS5 offers High Frame Rate cache recording at Full HD 10-bit 4:2:2 along with a frame rate of up to 240 FPS for super slow motion effects. Higher frame rates of 480 FPS and 960 FPS are also possible at limited resolutions. This camera offers ultimate mobility and customization for documentary and journalistic work. 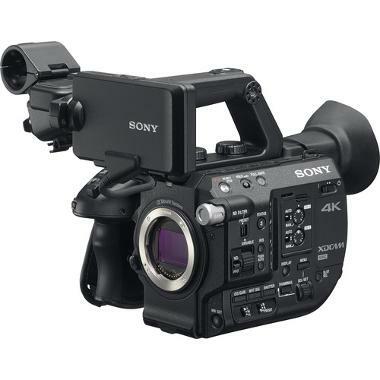 • If you'd like to rent this same camera with the 4K/2K RAW upgrade, please see the Sony PXW-FS5 XDCAM Super 35 Camera System with RAW Upgrade. 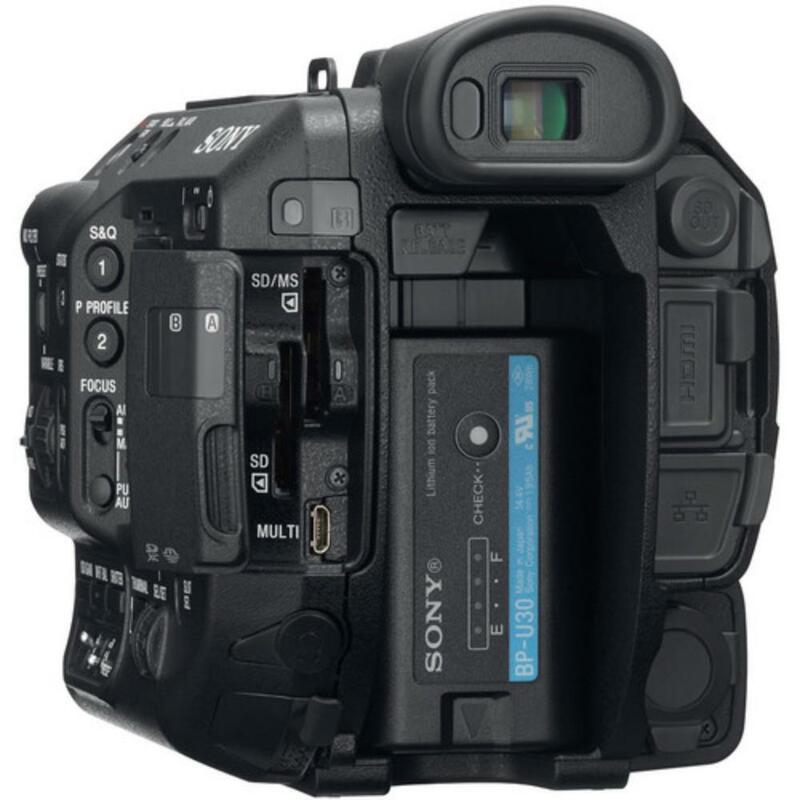 • This camera accepts 2 SD cards, which are rentable separately. • Connection to EF Mount lenses is possible with the Metabones Canon EF Lens to Sony NEX Camera Smart Adapter IV but there will be autofocus limitations. Experiment at your own risk. • The included BP-U30 battery runs for about 2 hours. For 4+ hours of battery life, rental of the BP-U60 is recommended.